Nearly two million Americans undergo elective orthopedic surgery each year. And the numbers keep growing—hip replacements are projected to double over the next fifteen years, and knee replacements will quadruple. 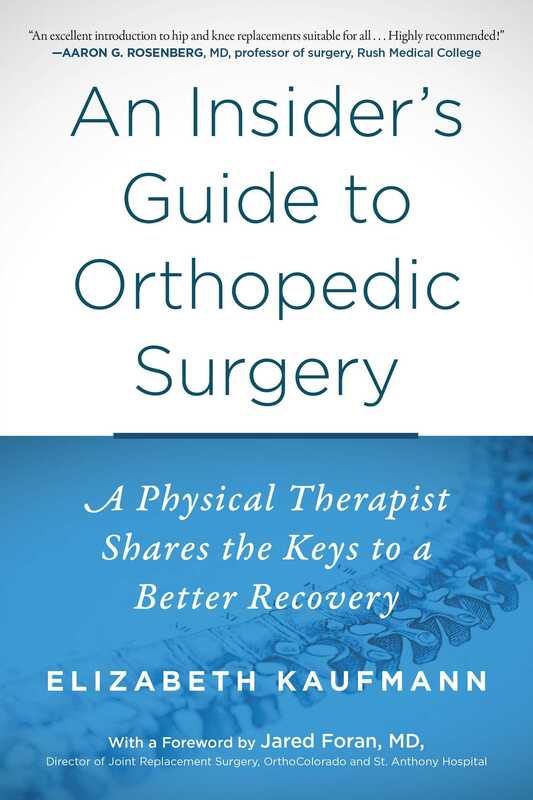 When you are ready for your procedure, you’ll want a copy of An Insider’s Guide to Orthopedic Surgery at your side. It is the only book that will help you prepare yourself (and your home) for a quicker and more thorough recovery. As a physical therapist who has spent more than seventeen years helping patients through recovery, author Elizabeth Kaufmann discusses the things that your surgeon won’t cover. You’ll get detailed, practical instruction on: • Preparing your home for the equipment you’ll need upon return • Understanding what will happen at every step of your hospital stay, from arrival through surgery to release (which will likely be sooner than you expect) • Getting the best care from therapists and other hospital and rehab staff members • Dealing with pain throughout the healing process • Building a support network to help provide care during recovery You’ll also learn the difference between a physical therapist and an occupational therapist; be ready for that first session; and find out the advantages of home therapy, sub-acute rehab, and outpatient therapy. If you have been suffering from chronic pain in the shoulder, knee, or hip, joint replacement can offer a second chance at restoring the life you desire. An Insider’s Guide to Orthopedic Surgery will help you get ready for it.